The Animal Hospital on the Golden Strip Team of skilled veterinarians welcomes you to our practice. Proudly serving the Williamsport and Loyalsock Township areas. 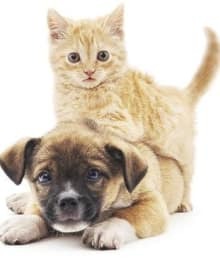 At The Animal Hospital on the Golden Strip, it is our daily privilege to provide quality vet care to your cherished pet with compassion and competence. We hope to ensure a positive impact on our patients, pet owners and the local community. 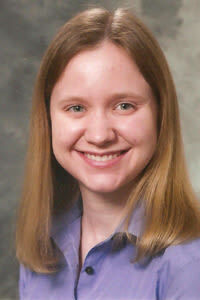 Dr. Ellen Weaver grew up in Lakeland, FL where she attended undergrad at Florida Southern College. She then moved to Virginia and attended vet school at Virginia-Maryland Regional College of Veterinary Medicine. During vet school, Dr. Weaver was active in clubs and participated in V.T. Therapy Pets with her greyhound, Warrior. Currently, she resides in Montoursville with her husband and enjoys spending time with family, trying new restaurants and exploring the area. Dr. Christine Pifer joined the hospital in June 2015. She is originally from Lewisberry, PA. She attended Penn State University for her undergraduate degree and then went on to the University of Wisconsin-Madison to receive her DVM degree. Dr. Pifer lives near Jersey Shore with her husband, son, and two cats. She enjoys spending time with her family, reading, playing the piano and being outdoors. 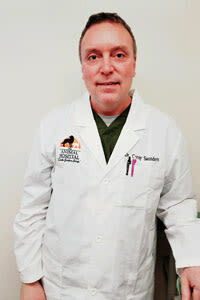 Dr. Corey Saunders joined the practice in February 2018. He grew up on a farm in Iowa. He attended undergraduate at Teikyo Westmar University in LeMars, IA and then proceeded to Iowa State University where he received his DVM degree. After graduation, he moved to Phoenix, AZ and practiced there for nine years. He then practiced in New York City, NY for 9 years. He has one Chihuahua, one Sheltie, and one Collie. In his spare time, he enjoys spending time with his family and dogs.